Shelly came to the U.S. from England. 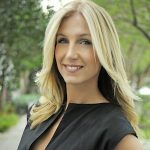 She has 11+ years of real estate experience as a broker and agent, and was co-presenter on Sky TV’s “Million Dollar Dream Homes”. She has handled many different kinds of residential and commercial real estate, and has gained a diverse client base. One of her successful strategies is based on what makes FSBOs and owners of expired listings list their property with her. In this webinar she will share her recipe and tips! The RealBird webinar is free as always and will be held on June 20, 2018, from 8 AM to 9 AM Pacific time (11 AM to 2 PM, Eastern Time). Get Started With RealBird Today! Sign up below.